Samantha successfully won a full scholarship to train at Performers College in Essex and graduated with a National Diploma in Musical Theatre. She also completed her teacher training with, and is a registered teacher of, the Imperial Society of Teachers of Dancing (I.S.T.D). Samantha has performed in many cabaret events at the Mayfair and Grosvenor Hotels in London as well as performing on “Top of the Pops” and she has travelled the world as principal singer for the “Headliners Theatre Company” working for P&O Cruises. She also enjoyed 3 years as Mezzo Soprano Swing for the “Thursford Christmas Spectacular” in Norfolk; the biggest Christmas show in Europe. Here, she had the honour of performing for Prince William and the Duchess of Cambridge at a Royal Gala Performance. Samantha has been teaching for many years and as well as being Principal of her Academy in the High Peak, she runs long-established Musical Theatre workshops in and around London. She has a wealth of experience, passion and lots of energy. Her classes are great for building technique, strength, performance skills and confidence – and most of all, they are fun! Sue Wood holds a Masters Degree in Business Administration and is a very experienced senior management professional who recently took early retirement, after working for many years for The Co-operative Group and Post Office Ltd. Sue is now a management consultant and joint owner of the Samantha Wood Theatre Academy. She is responsible for the strategic and operational management of the Academy. 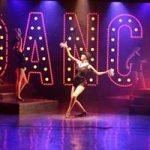 Ta nya started to dance at the age of 3 years with the Heatherlea School of Dance in Glossop and remained there for 11 years studying ballet, tap and modern. She performed in annual shows at the RNCM and the Dancehouse Theatre in Manchester. Tanya has also solo performed at the Buxton Opera House as part of the Derbyshire High School Dance Forum. 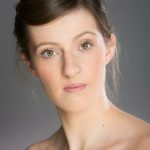 Tanya moved to Centre Pointe Dance School, night school, to develop further and undertake musical theatre, contemporary and lyrical, commercial and street dance, whilst also studying A levels in Dance, Drama and Law, which she successfully achieved. Thereafter, she started her Diploma in Dance and teaching at the Centre Pointe Vocational College in 2016, undertaking intense dance training and teacher training, and performing in numerous shows including Cinderella, where she played an ugly sister and the Snow Queen playing the part of a gypsy. Tanya has also performed at Festivals. Tanya’s experience and passion for dance and theatre is evident in her performance and teaching and she is looking forward to working with all our students to inspire and develop. Laura graduated from Centre Pointe college in 2015 where she completed 3 years of professional dance training. In this time, she thoroughly enjoyed being a part of ‘The Company’ and appeared in ‘How to succeed in business without really trying’ and ‘The Wedding Singer’ at the Lowry Theatre, Manchester. As well as training to become a professional dancer, Laura is a fully qualified ISTD teacher. She has her DDE Ballet and Modern and DDI Tap qualifications. Two weeks after graduating college Laura began her professional career. She started working for Cruise Maritime and Voyages until September 2016. She travelled to Norway, Iceland, Russia, Portugal, Canary Islands and the Caribbean to name a few places. In this time Laura learnt 13 shows which included African and Russian dancing. After this, Laura spent time in the UK continuing to develop her professional career and appearing at a charity event for breast cancer with ‘Lois Dynamic Dancers.’ She also spent 3 days filming as a dancer and background artist in Harrogate for a hit Bollywood movie ‘Ek Haseena thi Ek Deweena tha.’ Laura successfully auditioned in Manchester for a part as a professional dancer in ITV’s Cold Feet and worked alongside James Nesbitt in March 2017. Most recently, she completed a 7 month contract on board the Costa Victoria and visited Japan, China, Thailand and Vietnam. She returned home in November 2017 to spend time with her family after having little contact with them during the contract. Laura then went travelling around New Zealand for 5 weeks visiting friends and family. She used her time at home to add to her teaching career; getting creative and choreographing for local schools as they worked towards their summer shows. Laura has also used this time to set up her own business within the Fitness industry. Laura said that she is looking forward to teaching at the Samantha Wood Theatre Academy and meeting all of our lovely students.